As a longtime Law & Order aficionado, please believe that I am not easily impressed by police procedurals. 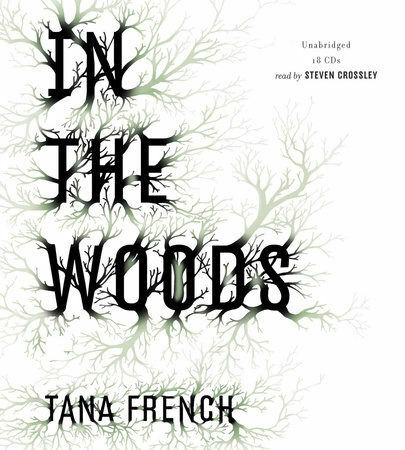 Tana French's In the Woods was a spectacular combination of realism, casual (and dark) humor), and a description of a friendship that I painfully envy. When Detective Rob Ryan was a child, he went into the woods with two of his friends. The two friends were never seen again and young Rob (who used his real name of Adam back then) was found bloody, traumatized, but relatively uninjured. His memory of what had happened was completely swallowed by his young mind and his parents, trying to be helpful, sent him away to an English boarding school. Now an adult with a posh English accent, Rob is a detective in the prestigious murder squad with the Dublin Police and there has been a new murder. The murder of a child... in his old hometown. There are eerie echoes to the crime twenty years ago, but don't get your hopes up. You never find out what happened to Rob's childhood friends. But don't be dissuaded by that fact. What you do find out is what happens to little children who experience trauma... when they grow up without dealing with the trauma. You can shove it down as deep as you like, but it always comes back up in terrible ways, especially if you're a murder detective. We do find out what happened to the latest little girl to die in the small Irish town, and we watch in fascinated horror as the murderer presents themselves fairly early on, while Rob simply can't see it. We all have our blind spots and Rob's are a doozy. I loved this book and if I had a complaint, it was that the narrator didn't bother doing an Irish accent for the Irish characters... which was every character except Rob. Irish people have a particular way of speaking, one not done proper justice with an English accent. But like I said, don't be dissuaded. Read this book at your earliest convenience.